Since becoming a mother for the second time my body has once again gone through a number of changes, especially my skin. Not only has it changed due to hormones but I have found I have less time to take care of it. I’ve never been one to have a skincare routine until I found Lavelier, a skincare line whos key ingredient is antioxidant-rich coral seaweed. Since receiving their Marine Essentials collection I have taken time to myself every morning and evening to care for my skin. Washing my face, applying moisturizer and giving my skin some attention has become one of my favorite parts of the day. 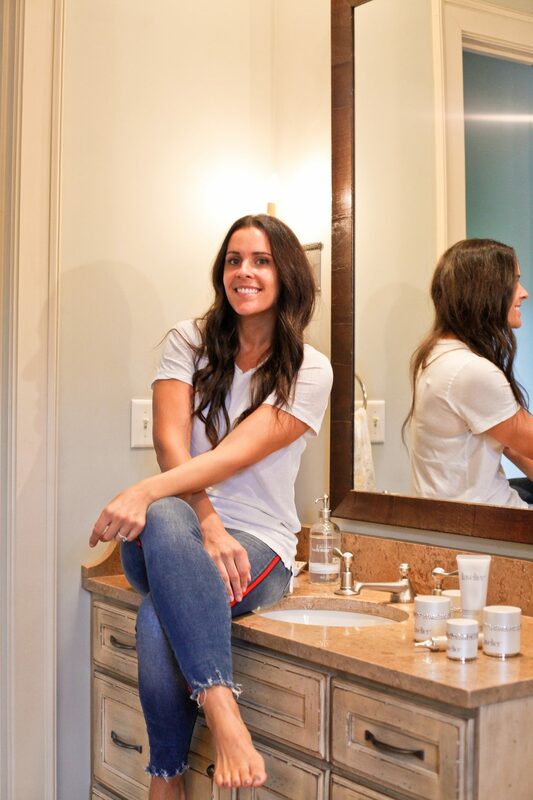 My mornings start with cleansing my face with Lavelier Biology Mousse Cleanser followed with Lavelier Marine Deep Moisturizer, a moisturizer that helps fight fatigue and fine lines is just what I need! My mornings are actually started with getting my boys fed and happy, brewing some decafe coffee and then giving myself some attention. I then apply an SPF and any makeup I need for the day. In the evening, I remove my makeup then wash my face with the Biology Mousse Cleanser followed with Lavelier Marine Evening Repair Cream and Lavelier Eye Firming Concentrate. On special nights when I really want to give myself the spa treatment I apply their Intensive Facial Peel, I do this once or twice a week. This gentle exfoliating peel is probably my favorite, it’s cool and smooth when applied and make my skin feel extremely soft afterwards. There is one more special product, Lavelier Advanced Marine Bio-Syringe. This syringe is formulated with Hyaluronic Acid and DMAE making it a very powerful anti-wrinkle treatment. Since this product contains DMAE I will be saving it for when I’m done nursing but I did have to try it just once and wow does it work! 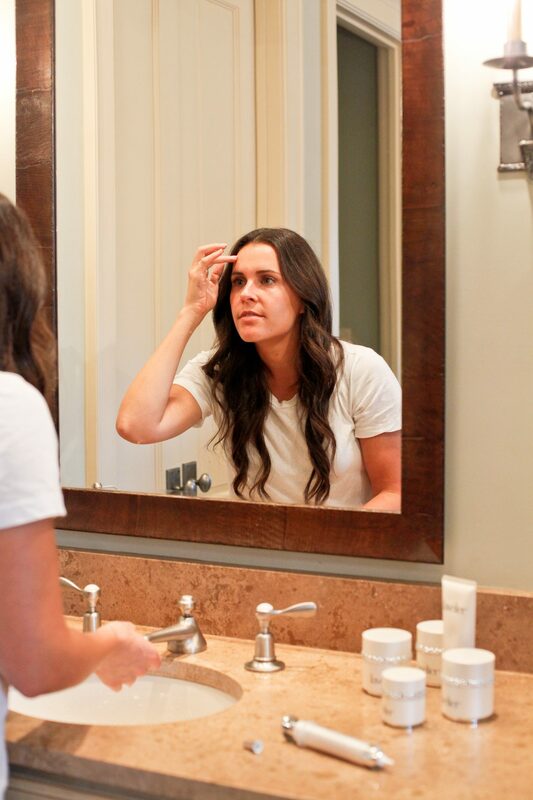 I have fine lines across my forehead that drive me crazy and this product made them disappear within minutes! By the way, the syringe is fake, you don’t actually have to use a needle, it’s just super cute packaging. I’m not interested in botox or fillers anything putting any sort of needles in my face (for now that is) but I am really interested in applying products that will help with fine lines and dark spots. The older I get the more I am willing to spend on my skincare products because I really want to have great healthy and moisturized skin. 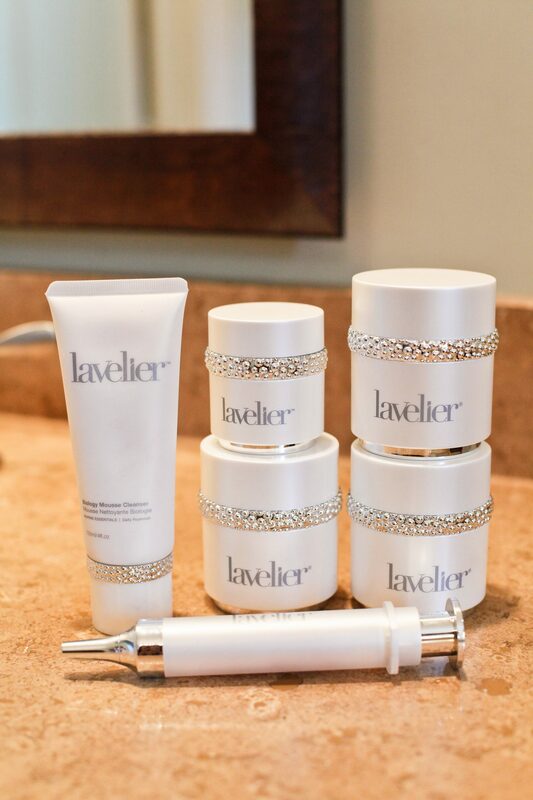 Thank you Lavelier for sponsoring this post. As always, all opinions are my own.